3D Systems, one of the largest 3D printing companies in the world announced in an official release that ZARE, an Italian service bureau based near Bologna, Italy has installed the country’s first 3D Printer from the company – the ProX SLS 6100. ZARE, which was originally focused on CNC machining, expanded its offerings to include additive manufacturing services in 2009. Ever since the company started offering additive manufacturing services, the company has grown its business every year and is now solely dedicated to additive manufacturing. ZARE first came across the ProX SLS 6100 at the Formnext 2017 exhibition where 3D Systems was exhibiting the 3D printer. ZARE then worked with 3DZ – 3D Systems’ Italian channel partner on the purchase and installation. 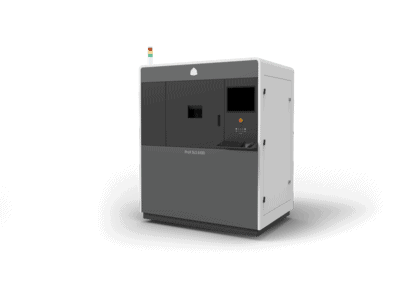 The ProX SLS 6100 3D Printer works on the selective laser sintering technology to produce durable prototype and production parts in various industrial-grade nylon materials. The system is known to offer faster build times, automated production tools such as automated material handling and leads to a 20% reduction in cost of operation in comparison to similar 3D printers. “We chose the ProX SLS 6100 3D Printer because its speed, part quality and powder handling process are truly revolutionary in 3D printing. We are in a very competitive business and are averaging a two to three day turnaround for parts and products. The ProX SLS 6100 will ensure that we maintain this customer commitment while delivering the highest quality parts to our customers,” added Pasquali. “I am pleased to join 3D Systems in communicating the first ProX SLS 6100 installed in Italy. The ProX SLS 6100 is a perfect solution for businesses like ZARE that need to produce highly accurate parts with excellent surface finish that can withstand the rigors of daily use”, said Andrea Simeoni, CEO, 3DZ. “This installation at ZARE, one of the largest 3D printing service bureaus in Italy, should pave the way for other Italian businesses to begin enjoying the advantages of 3D Systems’ SLS 3D printing solutions”, added Simeoni. ZARE services customers in a variety of different industries including Motorsports, Aerospace, Automation and Packaging, Oil & Gas, and Medical and Dental. In addition to the newly installed ProX6100 3D Printer, ZARE’s fleet of 3D solutions also includes 3D Systems Geomagic Design X 3D scanning software which it uses to offer its customers reverse engineering services.